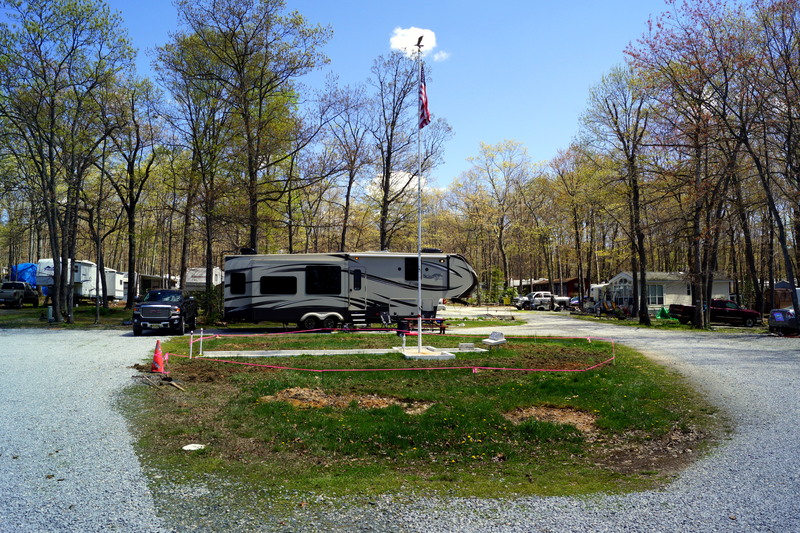 For Cello and Hooch’s Family Fun Day dock diving event, we camped at Woodlands Camping Resort in Elkton, MD. 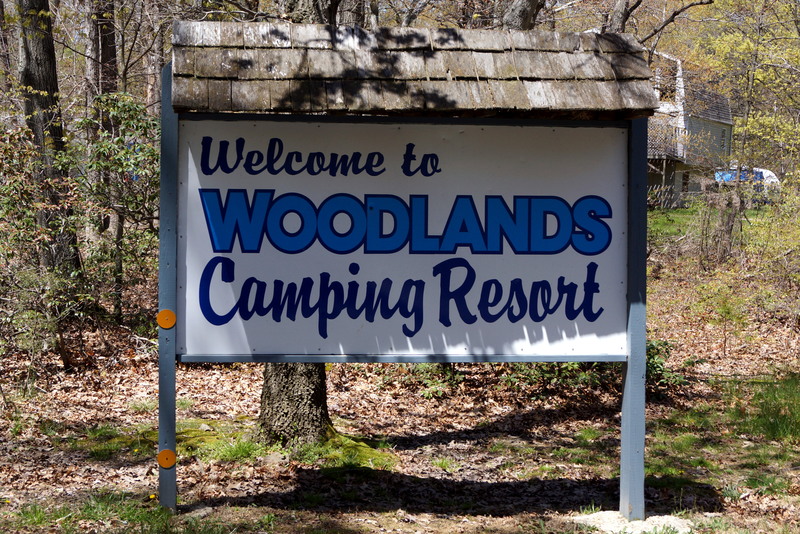 Woodlands Camping Resort is a semi-private camping resort with mostly seasonal sites. 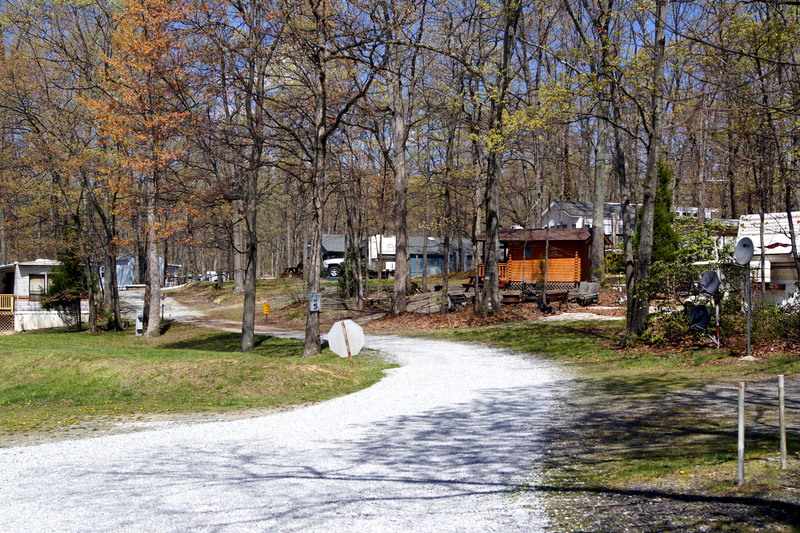 They have 5 sites available for transient campers, like us, and also have two cabins available for renting. 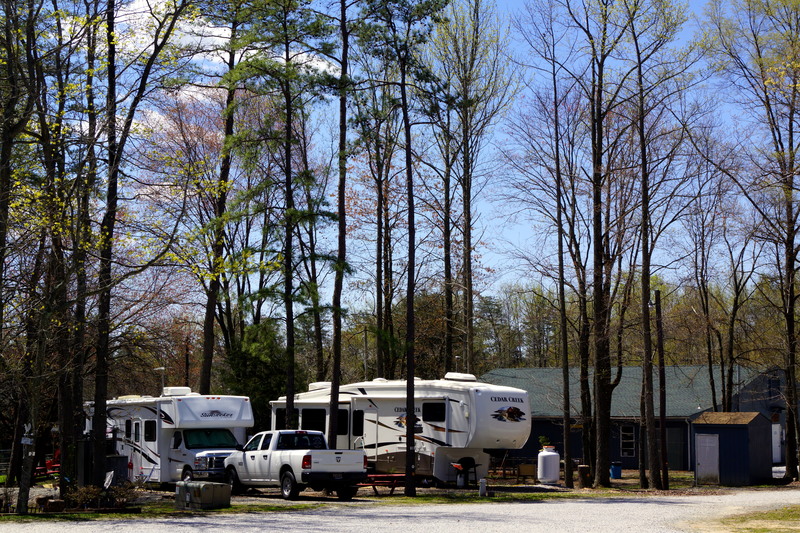 Woodlands is totally surrounded by Elk Neck State Forest, and is is only a short drive away from many other Chesapeake Bay area attractions. 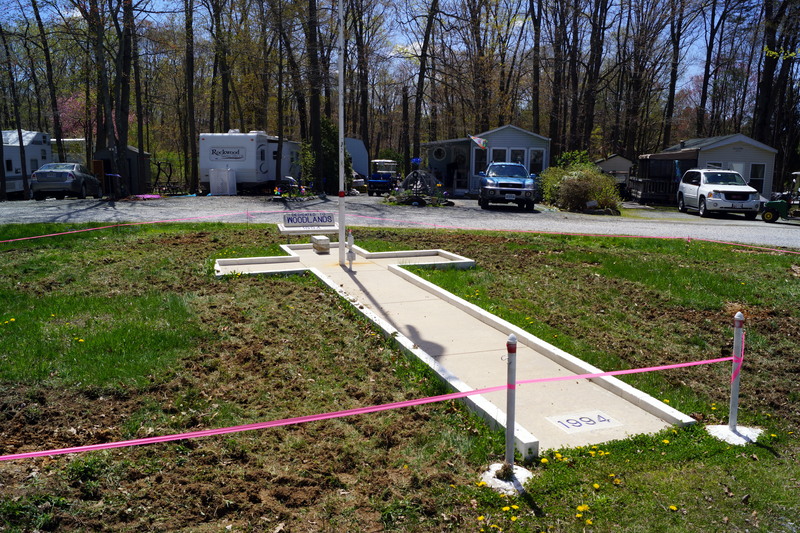 Our site was right at the Veterans Memorial, which they were working on the weekend we stayed at the campground. 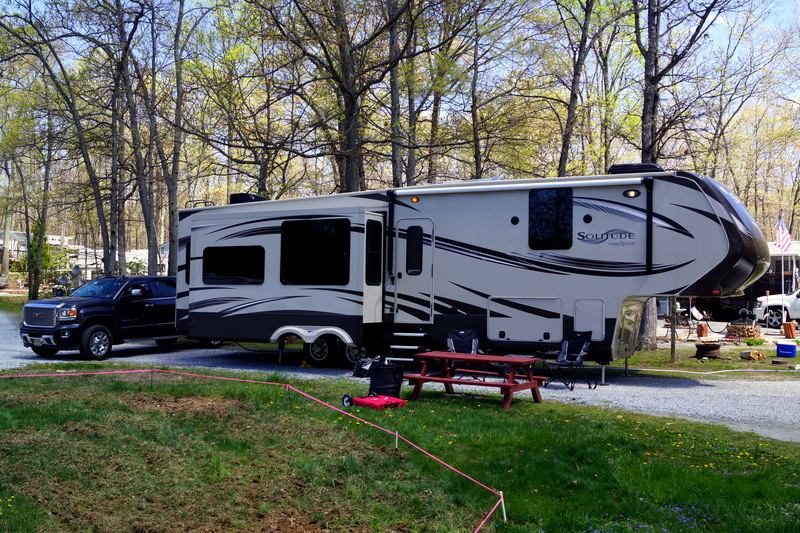 We stayed at this campground again – but this time with our Class A camper – and this time on site 47. Site 47 is my new favorite campsite! 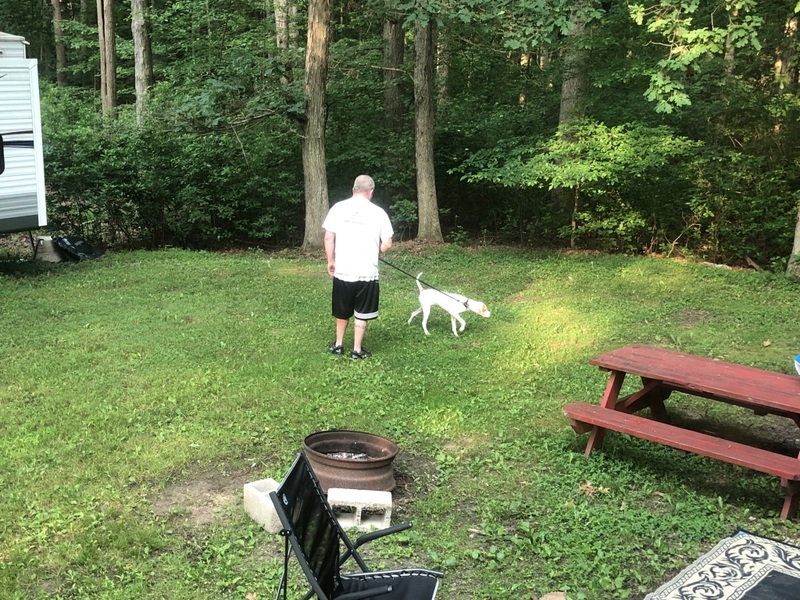 Site 47 was so spacious, and perfect for walking the dogs! 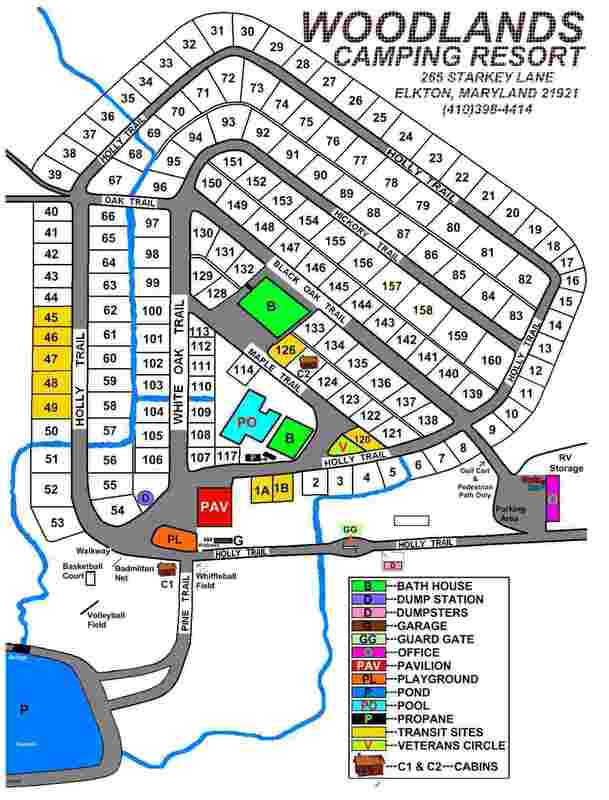 What a large living space for a campsite! 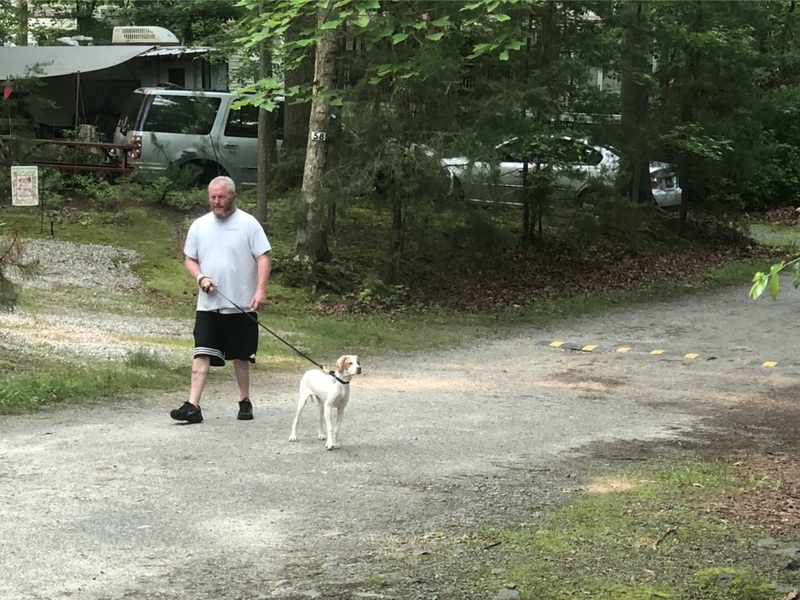 Brian and Whiskey taking a walk through the campground. 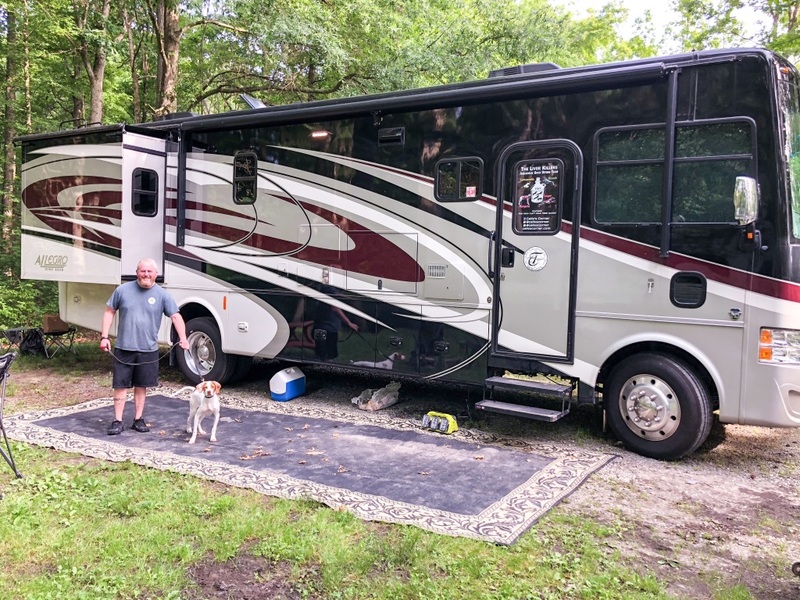 This entry was posted in Cello the Happy GLAMper, Hooch the Happy Camper, Lager the Camping-Canine-Commander-In-Chief, Rita the RV Rover, Whiskey the Weekend Warrior and tagged Camping, camping with dogs, elkton, maryland, woodlands camping resort. Bookmark the permalink.